As of January 14th 2020, Windows 7 will be unsupported by Microsoft. Consequently, computers running Windows 7 will not be permitted to have general network access in the Department after that date. 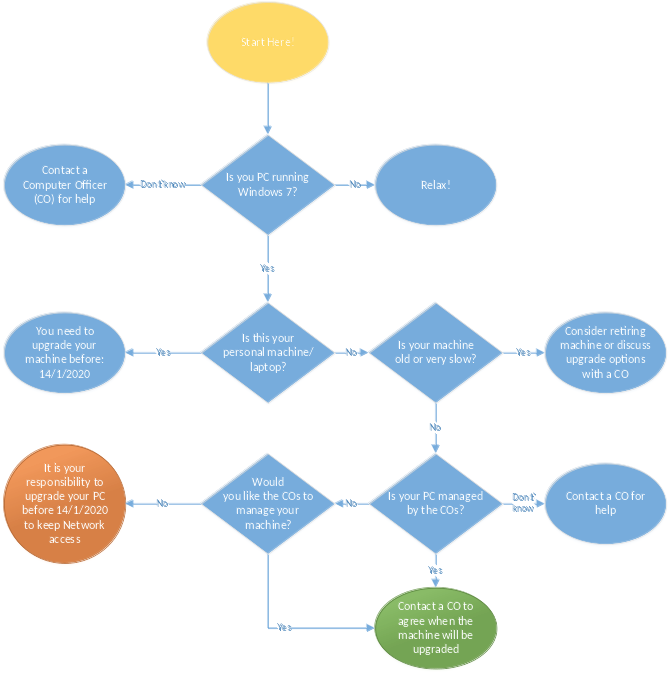 If you have a Windows 7 computer, please consult the following flowchart to assist in making a decision about what to do with it.